Paris is one of the world’s great cities. The place is filled with incredible food, iconic cultural sights, great shopping, stylish hotels, vibrant green spaces, tasty coffee, plenty of walking routes and tons of bars/clubs/music venues. Paris offers amazing experiences for anyone and everyone! 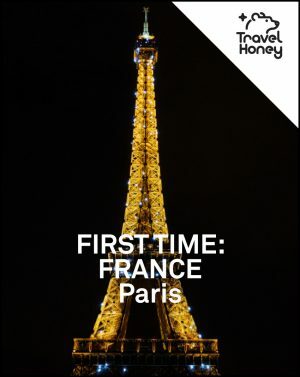 Check out the Travel Honey PARIS PHOTO GALLERY and PARIS ITINERARIES. View the FRANCE COUNTRY OVERVIEW for everything else. Shangri La Paris ($$$$$) Ultra luxury as most rooms have a direct view of the Eiffel Tower. Soothing spa and indoor pool and great location in 16th arrondissement. Hotel d’Aubusson ($$$) This former private mansion has plush decor and muted colors. Hotel is romantic Paris at its best and we highly recommend the in-house jazz bar. Royal Monceau ($$$$) Design oriented, sleek hotel located in 8th arrondissement and focused on modern art. Rooms come equipped with guitars and there is amazing spa in the basement. Jules et Jim ($$$) Understated, clean decor with lots of white and gray tones. Delicious breakfast spread and hip terrance/courtyard for good weather. Hotel Indigo Paris Opera ($$$) Fun scene, inspired by the theatre with lots of blues and purples. Comfy beds and luxurious bathrooms. Hotel Therese ($$) Possibly the best location in Paris for the price. Off a quiet street in the 1st arrondissement, rooms are chic and elegant. A steal for the price. Le Pigalle Paris ($$) Hip decor and amazing value for money. Located in 9th arrondissement and steps away from Paris’s best nightlife, bars and restaurants. Arpege ($$$$) 3 Michelin stars, featuring a magnificent 11 course menu of mostly vegetables sourced from the chef/owner’s farm. Helene Darroze ($$$$) 2 Michelin stars, old school, beautiful white tablecloth dining room with masterful creations. Joel Robuchon ($$$) Visit the St. Germain location, it has 2 Michelin stars, a cool open kitchen where you can see the magic happen. It’s also a good place to go alone and sit at the bar. Closerie de Lilas ($$) An old time classic, the place has a cheaper brasserie dining area in back and more upscale fine dining in glassed-in front. Brasserie Lipp ($$) Classic French place that has been around forever. Reserve a table in the back if you want to eat in a fancy dining room. Clown Bar ($$) French dishes, perfectly executed. Somewhat pricy for casual cuisine, but it’s super reliable. Au Pied de Cochon ($$) Go for the steak frites, onion soup and oysters. WHERE TO GO AT NIGHT IN PARIS? Experimental Cocktail Club ($$$) Artisanal cocktails and a lively bar scene. Great place to start off or finish the night. Prescription Cocktail Club ($$$) Cozy with amazing craft cocktails. Tell bartender your choice of spirit and they will mix something great. Andy Wahloo ($$) Kitschy bar with over 150+ gins. Charming patio. Order the Don Juan. Lavomatic ($$) Secret bar hidden inside a laundromat. Le Syndicat ($$) Bar that prides itself on local, French spirits. Little Red Door ($$) Delicious cocktails, make sure to try the Art Deco one. If you’re hungry, order the brioche hot dog. Small but packs a big punch. The Palace of Versailles is a large palace with over 2,000 ornate rooms and intricate gardens. The palace was once a hunting pavilion for King Louis XIII and served as a base for the French royalty until the French Revolution. The Fontainebleau Palace and Forest are magical. If Versailles is too crowded and you prefer an equally stunning but more mellow castle, head here. The castle is surrounded by a forests (area was former hunting ground for royals as well) so there are plenty of opportunities for hiking and climbing. Former famous residents include King Louis VII and Napoleon III. If the weather is nice, visit Giverny to see Monet’s former residence and gardens. View gorgeous water lilies and fresh blooming flowers in all of the gardens. If you love champagne, don’t miss the chance to visit Reims. Sign up for tastings in advance and tour Pommery, Veuve Clicquot, Tattinger and MUMM. 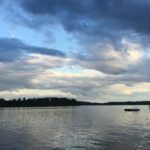 BEST INSTAGRAM ACCOUNTS FOR PARIS? By plane. You will arrive to either Orly or Charles De Gaulle airports – both are about a 45 minute drive to the city center. If you are not flying AirFrance, which provides shuttles to and from both airports, you can take a taxi or public transit options from each. By train. Paris is well connected by train from Europe mainland and the UK – they are quick and efficient, so a good option! If you are traveling from within France already, France has the TGV, a high speed train getting you from point A to B in a flash. There are six different main train stations in Paris and which one you will arrive or depart from depends on where you are coming from and going to. All six are connected to the metro system, so once you arrive you will be well connected to get to your final destination! By bus. Arriving to Paris by bus is affordable and simple. Check out Eurolines, a transnational network of coach busses connecting all of Europe. Ouibus, a French coach bus company with 180 destinations in France, Belgium, Switzerland, Italy, Spain and the Netherlands will bring your straight to the heart of Paris. Ouibus is affordable, efficient and offers free wifi! Walking is great way to get around Paris, take your time and take in all the scenery. But if you’re pressed for time or the weather is terrible, opt for the metro, taxis or an Uber. You can also get around by VeloLib, the city’s public bike-share program or City Scoot scooters if you’re brave. 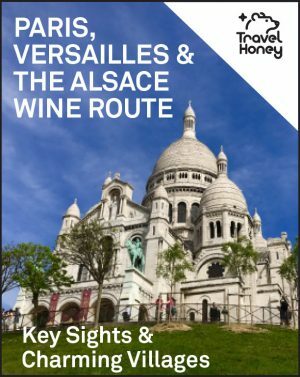 Check out these Travel Honey itineraries for the inside scoop on Paris.